March Madness officially tips off tonight with the First Four play-in games, but the real actions gets underway on Thursday when the First Round begins the craziness that is the NCAA men's college basketball tournament. A total of 68 teams have reached the tourney. Calculating odds of a seeded sports tournament isn't an exact science, but statisticians have opined in recent years that correctly predicting each and every March Madness game could be as long as one in 128 billion. To put that in perspective, winning Mega Millions has far better odds at just one in 302.5 million. In March Madness, the unexpected should be expected. And in 2019, data suggests upsets could come as early as the first round. FiveThirtyEight, statistician Nate Silver's online site, has formulated predictions on the NCAA tournament based on input from both computers and human analysis. And three games have decent chances for a big upset. In the South, No. 5 Wisconsin plays No. 12 Oregon. The Ducks are playing well after a Pac-12 tournament win, and have a 40 percent chance of beating the Badgers, so says Silver's model. The Westgate SuperBook in Las Vegas agrees, as the sportsbook has Wisconsin spotting Oregon just 1.5 points. While the Big Ten team in the South might be upset, in the Midwest a Big Ten conference team hopes to play spoiler. No. 11 Ohio State plays No. 6 Iowa State where Silver says the Buckeyes have a 33 percent chance of winning. Las Vegas has the Cyclones spotting the underdogs 5.5 points. In the West, No. 5 Marquette is on alert against No. 12 Murray State. FiveThirtyEight gives the Racers a 36 percent chance of beating the Golden Eagles. The SuperBook has Marquette spotting just four points. The upset of them all came a year ago when the UMBC Retrievers became the first No. 16 team to beat a No. 1 seed (Virginia Cavaliers) in the history of the NCAA men's tournament. There have been 16 upsets involving a No. 12 and No. 5 team over the last decade. While the first round threatens the end of the season for many teams, for the top programs, many of the games are expected to be blowouts. Duke has a greater than 99 percent chance of beating the winner of the NCCU/NDST play-in game. The three other No. 3 seeds – Virginia, UNC, and Gonzaga – are all at 99 percent. UNC is spotting No. 16 Iona 24 points, while Virginia is spotting No. 16 Gardner-Webb 23.5. As for winning the national championship, overall top seed Duke has the strongest chance at 19 percent. Virginia is next at 17 percent, and then Gonzaga (14 percent) and UNC (nine percent). The SuperBook slightly varies, with the current odds at Duke (9/4), Gonzaga (9/2), and UNC and Virginia (6/1). 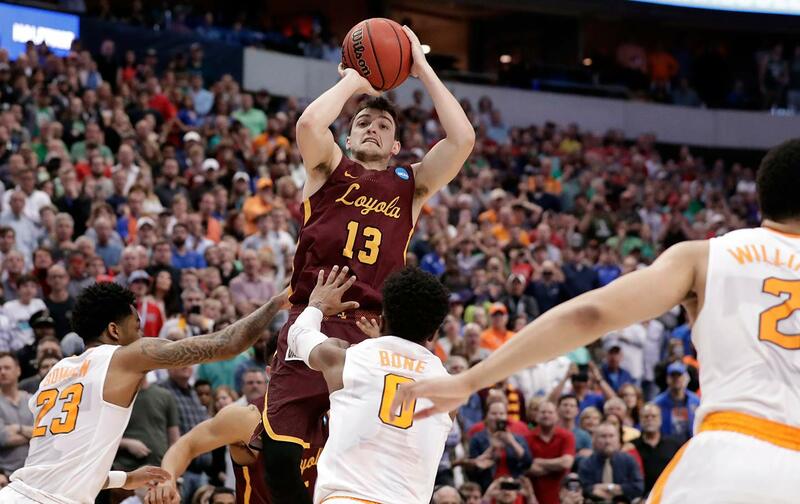 The post NCAA March Madness First Round Upset Alerts Issued for Wisconsin, Iowa State, Marquette appeared first on Casino.org.